Steven A. Montag is an experienced personal injury lawyer with offices in Omaha and Lincoln Nebraska who represents injury victims all over Nebraska. He opened his office in 1998 and is widely known in the legal profession as a leading Personal Injury Lawyer representing accident victims. Steven Montag has a great deal of experience representing clients who were seriously injured in motor vehicle accidents. If you have been injured in your car, on a motorcycle, in your pickup truck, on a bicycle or as a pedestrian, I can help. Steven Montag has been exclusively representing plaintiffs for motor vehicle accident injury claims since 1998. He has successfully represented thousands of accident injury victims and made his clients millions of dollars. He is an A+ rated member of the Better Business Bureau and has been awarded as a member of the BBB honor roll. The personal injury attorney at the Montag Law Office gives a high degree of service and the expert guidance that his clients need to make successful injury claims. We start with an investigation of the circumstances of the accident and the insurance policies that apply to each situation. We help with your initial concerns like getting your car repaired or replaced and getting you the treatment you need to recover from your injuries. We monitor your treatment and correspond with doctors and insurance adjusters. We negotiate on your behalf to get the money you deserve or we litigate when necessary to obtain the compensation you deserve. The Montag Law Office is a small firm that knows each of our customers personally. We are dedicated to helping injured people and we pride ourselves on giving our clients a high degree of service. Each case is managed by a lawyer, not just a paralegal. Steven Montag is ready to use his extensive experience to help you. Our office deals exclusively with motor vehicle accident injury claims. When a negligent driver has caused you to be injured and it is not your fault, it is time to consult a professional Personal Injury Lawyer like Steven Montag to get the justice and compensation you deserve. What does a Personal Injury Lawyer do for Auto Accident Victims? 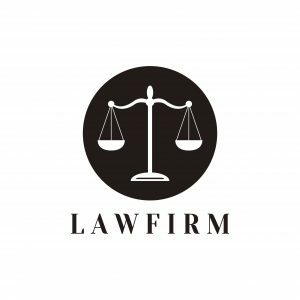 Negligence Law provides a legal cause of action and compensation for people who have been injured as a result of other people’s careless actions. A personal injury claim can be made whenever a driver has negligently violated his or her duty to drive in accordance with traffic laws and caused another person to be injured or property to be damaged. Any driver is negligent whenever they violate their duty of care to others or when they violate traffic laws. Unlike many crimes, the intent is not necessary for negligence to occur. The driver simply has to fail to use appropriate care while driving. The right-of-way for almost all possible situations is covered by traffic laws or rules of the road. Whenever a driver violates traffic laws and causes an injury accident there is negligence. The duty of care for each driver depends on the circumstances of the accident. One situation can involve different duties of care for different drivers. An experienced attorney can help sort out liability and help present his or her client’s case in the most favorable way. Drivers violate traffic laws and breach their duty of care when they do things like speeding, violating stop signs or traffic lights, following too closely or failing to yield the right of way. We also deal with many situations involving impaired drivers. When someone drives under the influence of alcohol or drugs, there is usually a very clear fault. You still have to prove that treatment was reasonable and necessary and decide the value of damages. When a case goes to court involving a drunk driver, liability is usually agreed upon or stipulated. The subject of fault and the drunk driver’s condition is not even allowed to be discussed. Even if you know who caused the accident, there is still plenty to argue about. When an impaired driver causes an accident, you can expect the whole trial to focus on the extent of the injury and the value of damages. It is good to be talking about what is owed rather than whether or not negligence has occurred and any debt is owed. Then the jury does not get to hear about the evil drunk driver so the value of the claim would not be affected by drinking or drugs as much as you might expect. Negligence law applies to situations other than car accidents. Negligent maintenance of a store, an apartment complex or private property can expose innocent people to the risk of injury. Whenever a doctor or hospital has an unsafe practice or condition and commits malpractice causing an injury, a negligence claim exists. A duty of care is breached whenever someone fails to act with the appropriate level of care for others in any situation. Whether you are a careless driver, in irresponsible landlord or store owner or a doctor who has committed malpractice, the type of claim for damages will be a negligence claim. Steven Montag has dealt with many types of negligence claims. He will leave no stone unturned in the effort to get the compensation you deserve. We will hold all of the responsible parties accountable and we will take full advantage of all insurance benefits that are available. Steven Montag has helped many thousands of people injured in Nebraska motor vehicle accidents and their families. Catastrophic injuries such as brain injuries or spinal cord injuries are life-changing events. My office has extensive expertise in dealing with complex situations. If you are trying to sort out a complex situation and are worried that you will be taken advantage of by a big uncaring insurance company, you need to hire a professional like Steven Montag to stand up for your rights and get you the compensation you deserve. When you have been injured in an accident it would not set things straight just to get the bills paid. Part of what we get is compensation for “Special Damages”. Special damages are things that can be exactly quantified such as the value of property damage or the amount of medical bills and lost wages or loss of earning capacity or future earnings. When only the bills get paid, that does not make up for other hardships or “general damages”. General damages are things that do not have a specific cash value. Pain and suffering, disability, scarring, mental anguish and harm to a marriage or “loss of Consortium” are examples of general damages. All of these things have value. After any serious accident, you do not want to leave any money on the table. When your life has been turned upside down because of a careless driver, you want to do everything you can to make up for it. Since you can’t turn back time and avoid an accident that has already happened, the best thing you can do is get appropriate compensation or money. We handle the whole range of injury claims, from relatively small claims to large claims. If you have been injured in a Nebraska motor vehicle accident in Nebraska that was not your fault, call the Personal Injury Lawyer at Montag Law Office at (402) 334-2200 for a free initial consultation. I can let you know if you have a good case. We work on a contingent fee basis meaning you do not pay an up-front retainer fee. We get paid when you do after we have made a successful claim for you.